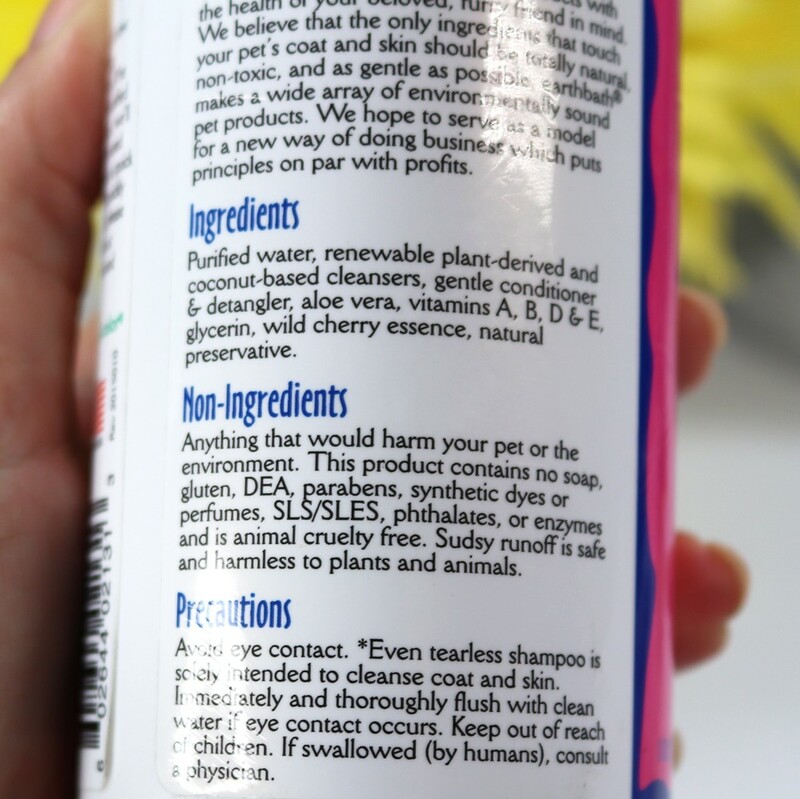 It’s hard to believe but not all dog shampoos are cruelty free or made with safe ingredients. Just like the beauty products you buy for yourself, it’s important to make sure you’re choosing cruelty free pet products for your fur babies. Even pet FOOD is tested on animals! I recently switched from Blue Buffalo to Solid Gold for that reason. See more on that here. 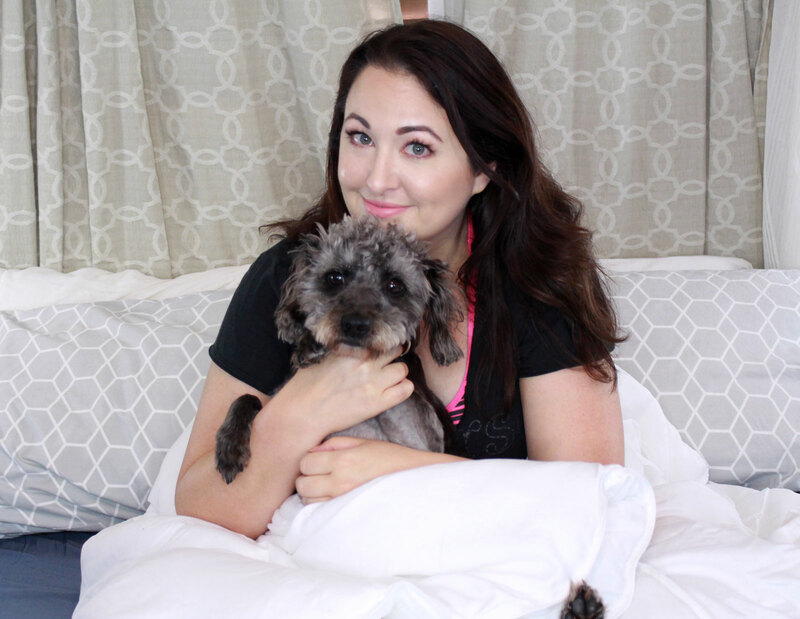 But let’s talk cruelty free dog shampoo, shall we? 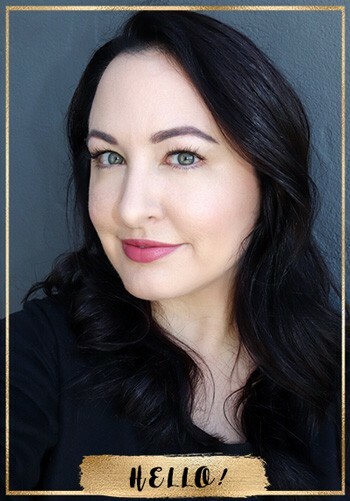 I’ve been using Earthbath products for YEARS. I’ve had other brands send me samples and they were either too drying and harsh, or they had too much artificial perfume. Earthbath is soap-free, but lathers up easily. All of their pet products are cruelty free and made with safe, natural ingredients. Riley’s skin is very sensitive, and he gets itchy welts all over if we feed him the wrong types of foods or use the wrong types of products. I had been using Earthbath’s Hot Spot Shampoo and Oatmeal & Aloe Conditioner, and I still love those. They have just the right amount of tea tree oil to kill bacteria without being harmful to dogs. 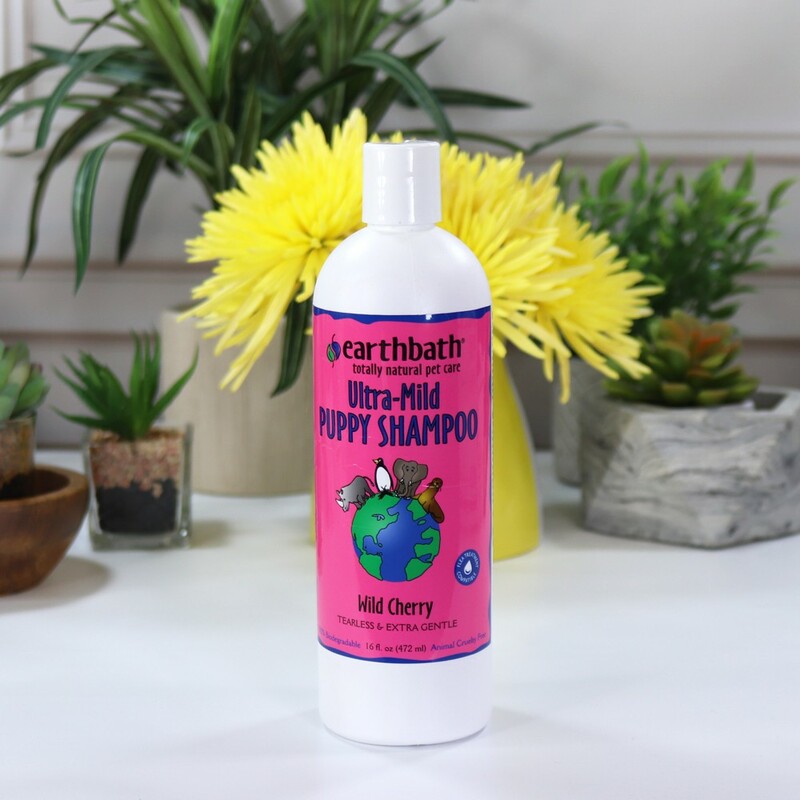 But recently, I tried the Earthbath Puppy Shampoo and I was amazed at how soft it made his fur – even without using conditioner! Riley is a poodle/terrier mix, and luckily he has the poodle genes for his fur, so it’s actually more like people hair than dog fur. He doesn’t shed (wish I could say the same for our cats!) and he has adorable curls. His hair grows fast so we have to get him groomed every other month (or more often) so he doesn’t look homeless. 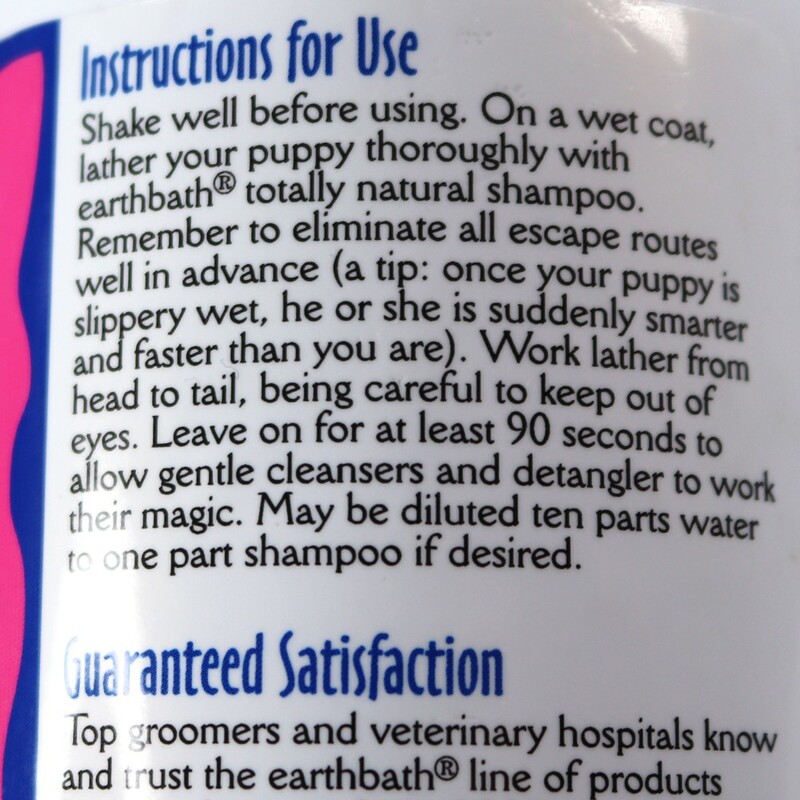 I was so impressed that the Earthbath Puppy Shampoo made Riley’s hair SO soft. Gregg and I couldn’t stop petting him after he dried off. And as a bonus, it smells like wild cherries! Normally, I would hate a scent like that, but for some reason I love this one. It doesn’t smell artificial to me, and it’s not overpowering. And it certainly doesn’t irritate his skin. It actually soothes his skin. It’s made with gentle cleansers and organic aloe vera. When he’s having a reaction to a food, I’ll go back to the Hot Spot Relief shampoo but when his skin is calm, I’m loving the Puppy Shampoo! It’s tearless and pH balanced (but you want to keep it out of your pup’s eyes anyway!). It won’t wash off any topical flea applications and it’s safe for puppies and dogs over 6 weeks of age. Side note – I also tried the 2 in 1 Conditioning Cat Shampoo on him, and it also made his coat super soft. It’s very similar to the puppy formula, and smells the same. If you like different scents, Earthbath also has Mango Tango, Green Tea, Vanilla & Almond, Eucalyptus & Peppermint, and Oatmeal & Aloe shampoo and conditioner. They also have wet wipes, teeth wipes, eye wipes, coat brightening products, deodorizing spritzes (I love the lavender scent) and waterless grooming foam for cats and dogs. You can read more about the products at earthbath.com and shop for the products at Petco, Chewy’s, Christie’s (ships worldwide) and other pet supply retailers. I’m going to have to get this for Georgia in my next Chewy.com order. I didn’t know about the food being tested, I always assumed most brands did some sort of feeding tests but it’s good to know for sure. I’m definitely going to be more selective about the pet food I purchase. 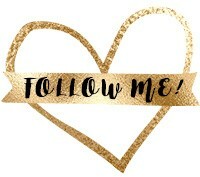 Thanks for sharing, I always learn so much from your posts! Yeah when it comes to pet food, it’s feeding tests (and blood draws and things like that). Not the worst kind of animal testing for sure. But still – they breed dogs and cats JUST for the trials. And PETA did uncover some abuses years ago. Not sure if that still goes on. But it makes me sad to think these animals live their lives mostly in labs, even if they are treated well. what a cute pic of you two! I love Earthbath, Addys fur is so soft when I use their shampoo. Riley is such a cutie pie <3 I've never tried Earthbath before, but it sounds amazing. I love this shampoo, it smells so good! 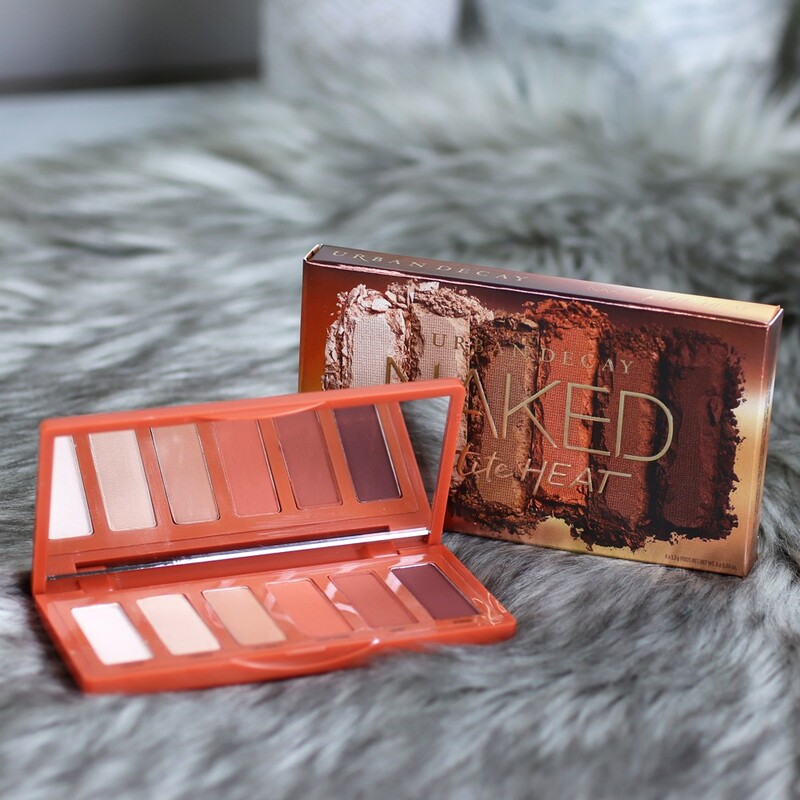 Review and swatches of the new Urban Decay Naked Petite Heat palette! Coming to the US on February 22nd.